Does your computer refuse to do what you want it to? Does it insist on doing something you don't want it to? Does it refuse to do anything at all? One solution is to ring a helpline; however, these can be expensive and don't always give good advice. 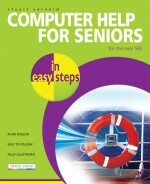 A better option is to buy a copy of Computer Help for Seniors in easy steps. 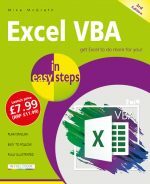 The Internet and email are extremely popular activities but, unfortunately, can be the source of major problems for the unwary computer user, e.g. viruses and malware. We take a look at these and examine effective prevention measures, plus many other Internet related issues. The faults covered in the book will be experienced by every computer user at one time or another - have the solutions to hand before they happen.